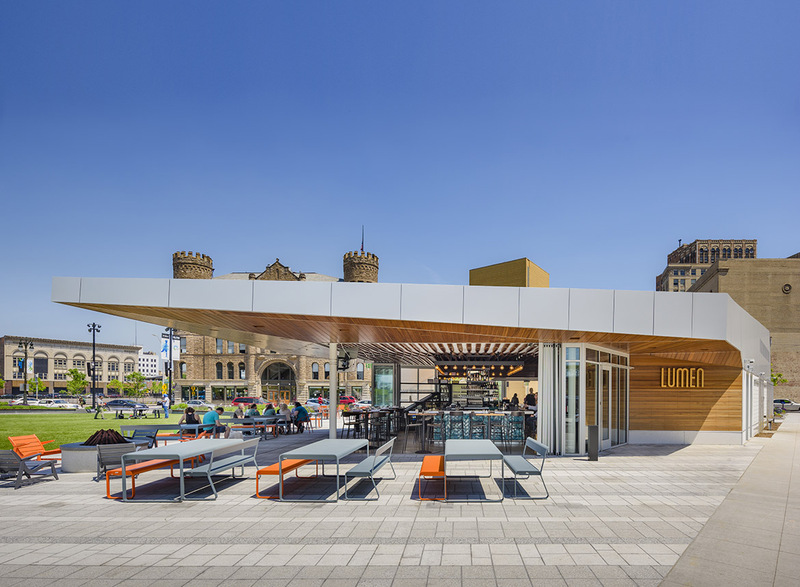 Jury comments: Lumen at Beacon Park creates a destination in a downtown that needs more good urban spaces. 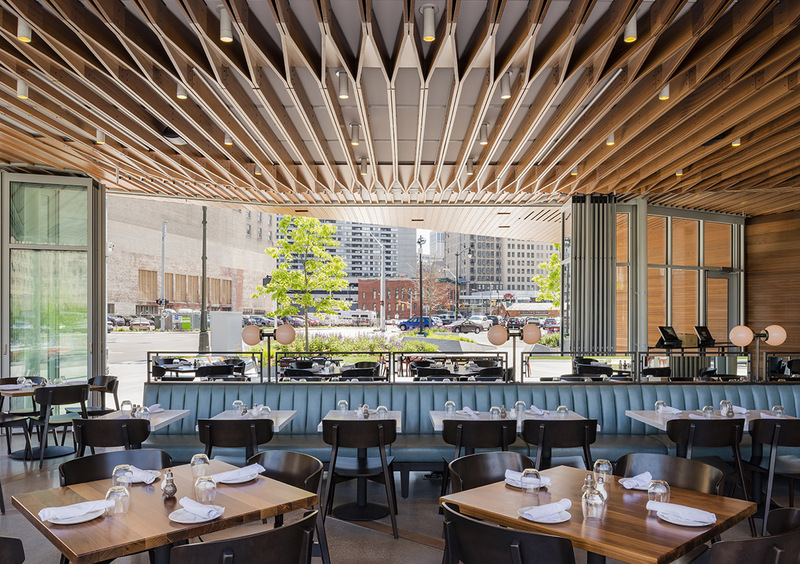 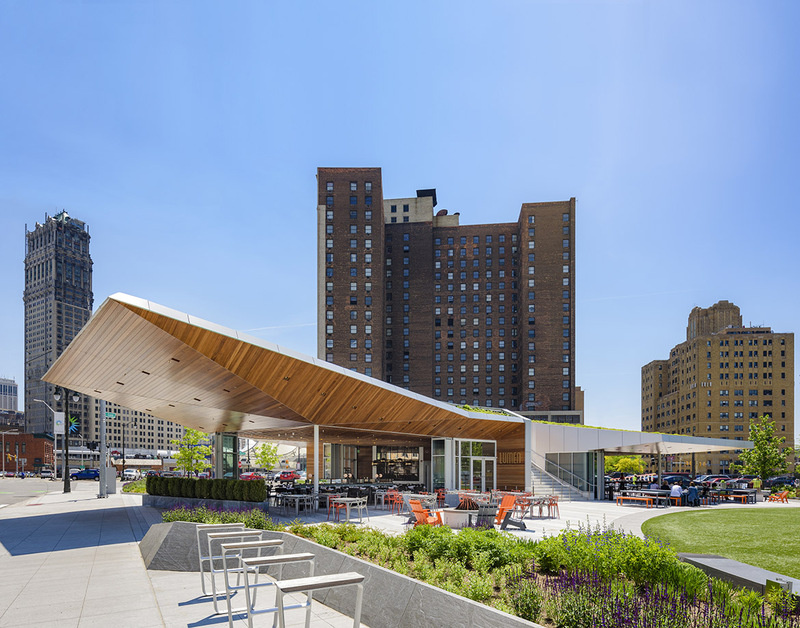 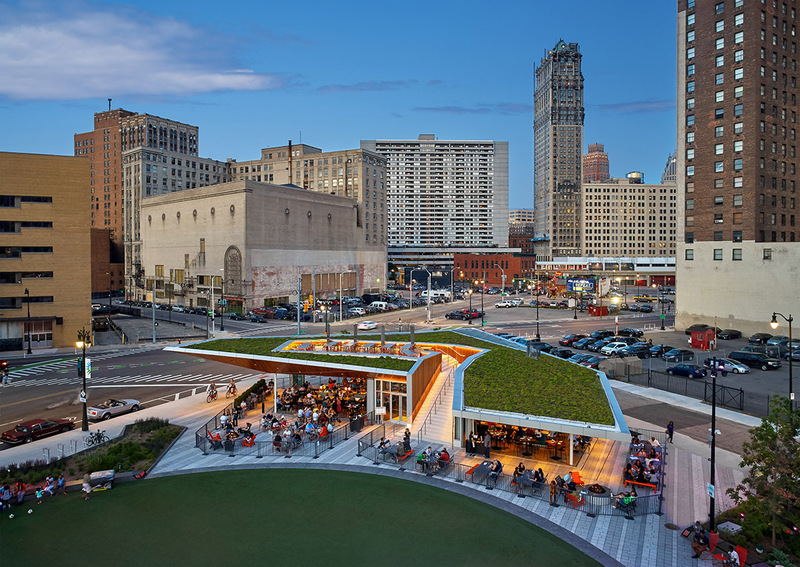 The jury agreed the pavilion was kind of wacky with its soaring roof line; however, they lauded its clean details, its site-responsiveness. 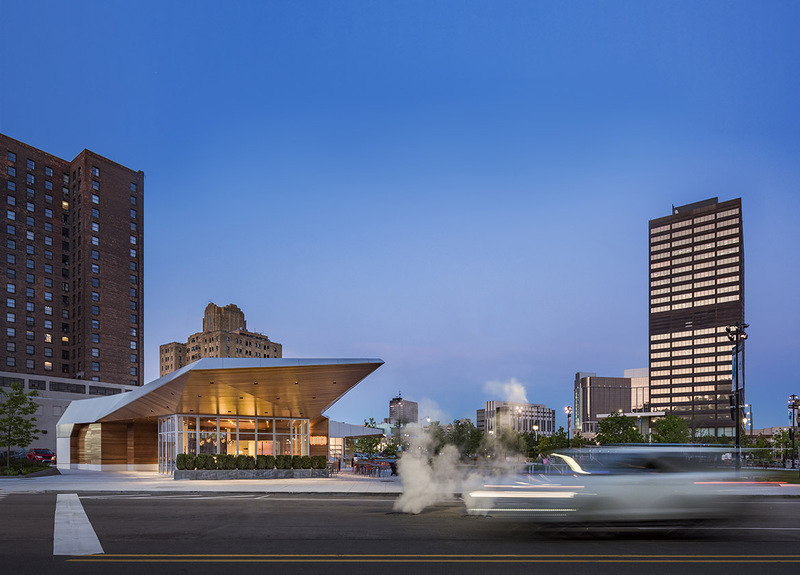 With its engaging and flexible form, this project promises to be an activating and attractive pavilion for Detroit.